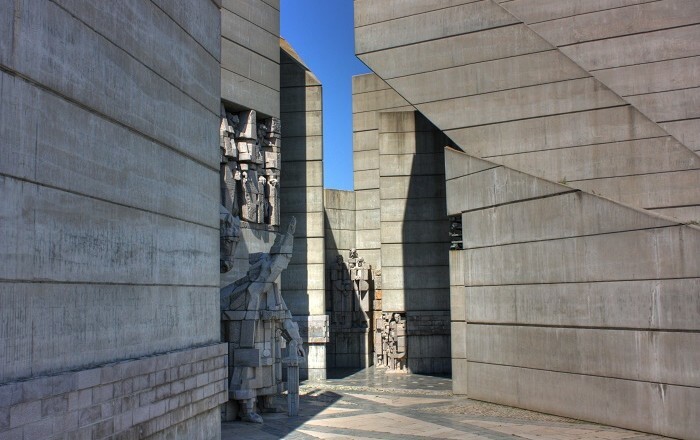 The Monument to 1300 Years of Bulgaria, which is also known as the Founders of the Bulgarian State Monument, is a large Cubist style monument that commemorates the foundation and also existence of the Bulgarian Empire, and it is located on a plateau above the tenth largest city in the Republic of Bulgaria, Shumen. 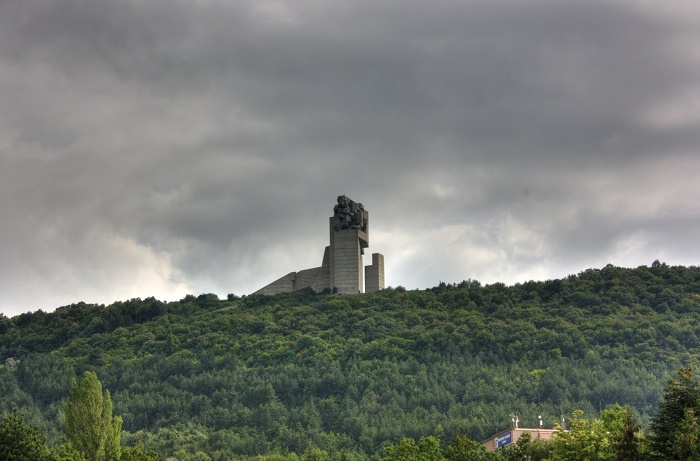 This interesting monument is 140 meters (459 feet) long and 70 meters (230 feet) tall, for which construction some 2,300 cubic meters (81,224 cubic feet) of earth were excavated, and 2,400 tons of reinforced steel together with 50,000 cubic meters (1,765,733 cubic feet) of concrete used for the completion. 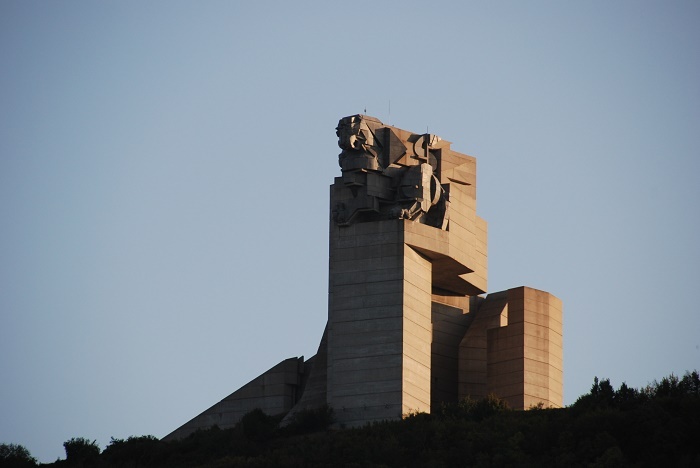 This grandiose monument is visible for about 29 kilometers(18 miles) away, and stands above 457 meters (1,500 feet) above sea level, overlooking the city. 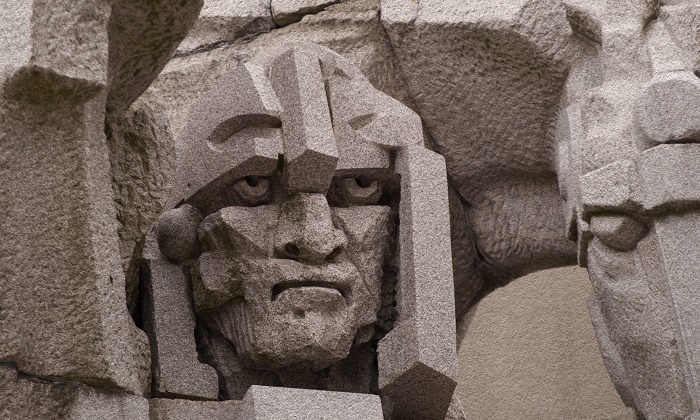 The first time for the construction of the monument was in 1977 during the preparations of the 1300th anniversary since the establishment of the Bulgarian State which was in 681. 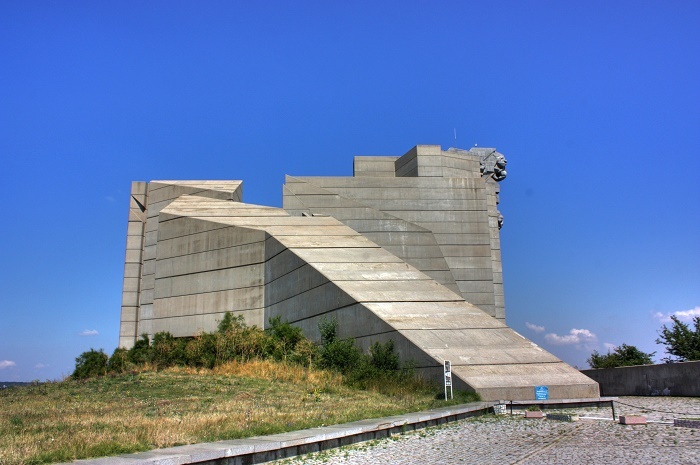 Later in 1979, the construction began, completing the construction in 1981. 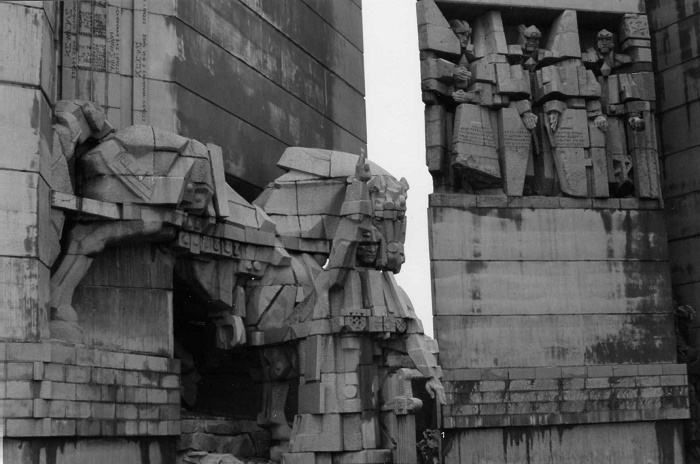 Designed, as well as built by the sculptors Krum Damyanov and Ivan Slavov, architects Georgi Gechev and Blagoy Atanasov, artists Vladislav Paskalev and Stoyan Velev, and design engineer P. Hadzhov, the monument consists of two groups of concrete blocks separated by small spaces. 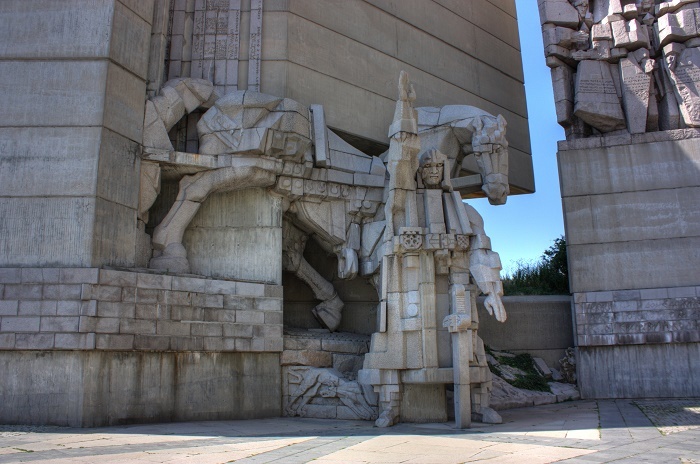 Together with 21 sculptures, they symbolize the establishment, development and progress of Bulgaria between the 7th and 10th century. 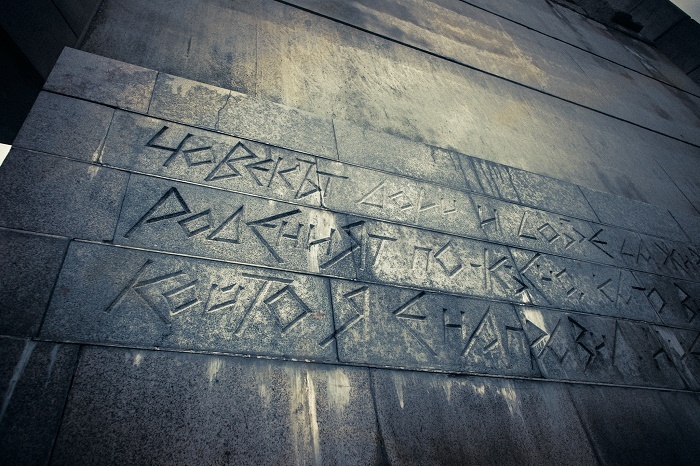 The first staue is of Khan Asparuh, who is considered to be the founder of Bulgaria. Standing with his sword stuck in the ground, hands raised and pointing in different directions to where the Bulgarian State will be, then followed by the statues of Tervel, Krum, and Omurtag, who were Bulgarian khans. 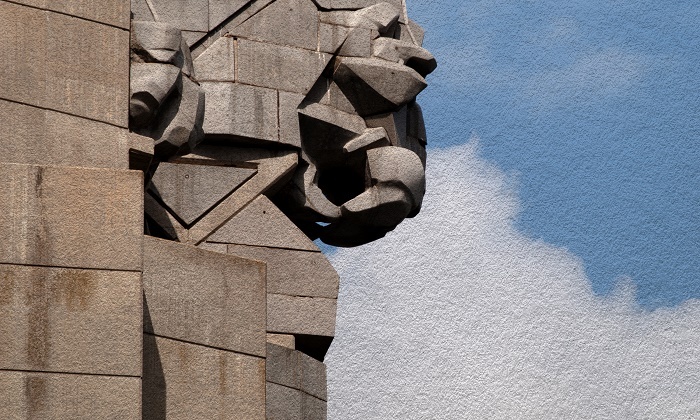 The Christianity’s symbol is also present at the upper part of the monument, finishing with a granite lion statue on top of the memorial. 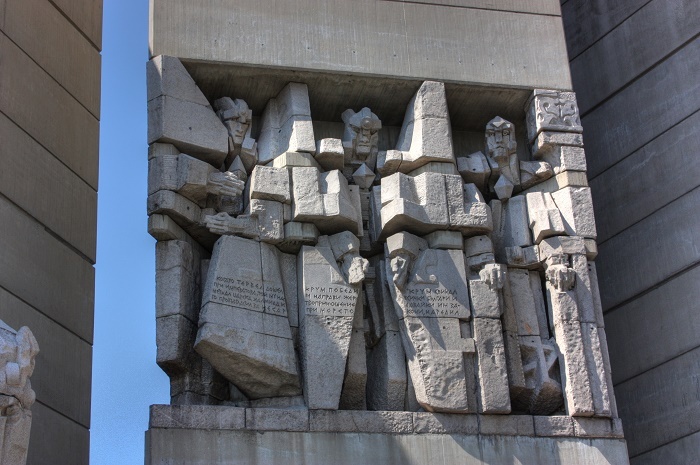 There are 11 figures that represent the Golden Age of Bulgaria under the reign of Simeon the Great, surrounded by men of letters, boyars, and soldiers. 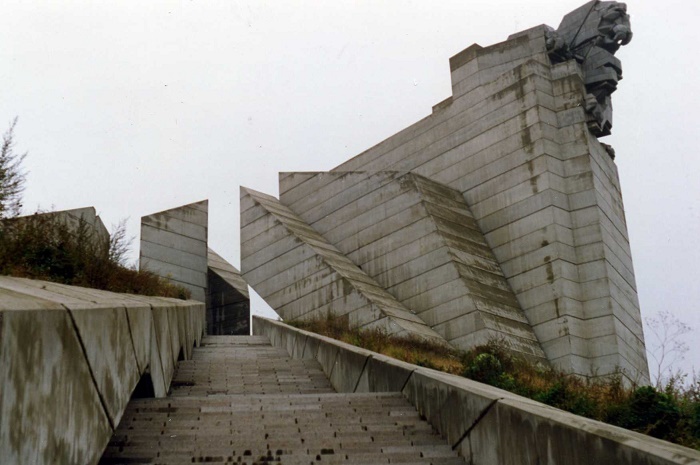 Even though it is built in time of Communist rule, nowadays it has a prefect maintenance where no spot would be seen, and from time to time it is used as a place for wedding ceremonies. 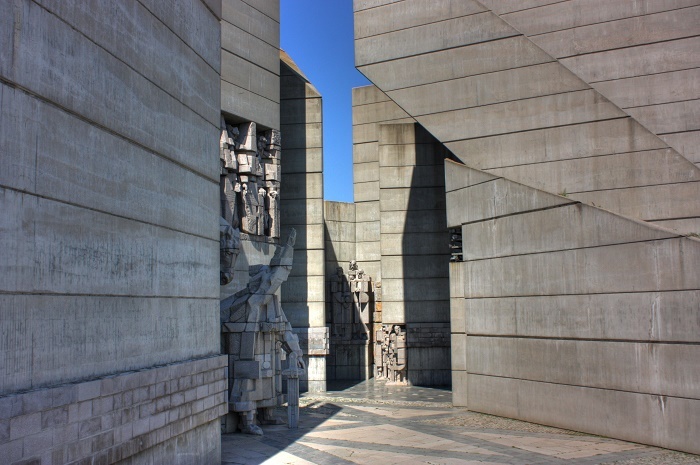 A true historical fairytale-like memorial, that is visited by everyone who goes to Shumen, and wants to learn as much as possible from the ‘Giants’ that are carved out of concrete.